The third installment of the Darksiders series, Darksiders III features Fury, one of the 4 Horseman of the Apocalypse. This hack and slash action-adventure game will pit Fury against the 7 Deadly Sins. Recently patch 1.04 has been released for all platforms to adjust, balance, and fix various issues. Available in the game options menu. It will kill Fury and return her to the last Vulgrim Waypoint that you visited. Added functionality on Force respawn that will force the hollows to re-equip to Fury. This is for the issue where Fury’s hollow abilities appear to have stopped working. Multiple improvements to help performance and loading (both on base and upgraded spec consoles). Performance improvements should also significantly reduce stuttering in high-density areas. Adjusted invulnerability windows across all difficulties. The windows are consistent on Balanced, Challenging, and Apocalyptic and even more significant on easy. Fixed the issue where Force blocks were getting stuck in Scar. If players have encountered this issue, it should destroy the stuck block, and if you come back to the area, it will reload the block in the correct starting area. Fixed the issue where X and O prompts are reversed incorrectly when confirm and back functionality is changed in the console settings. Fixed the issue where certain stacked breakables wouldn’t break in Bonelands. Fixed the issue that would break Gluttony fight. Fix should also correct saves that had this issue. If you want more Darksiders content be sure to check out the Darksiders 3 Trophy Guide & Roadmap. 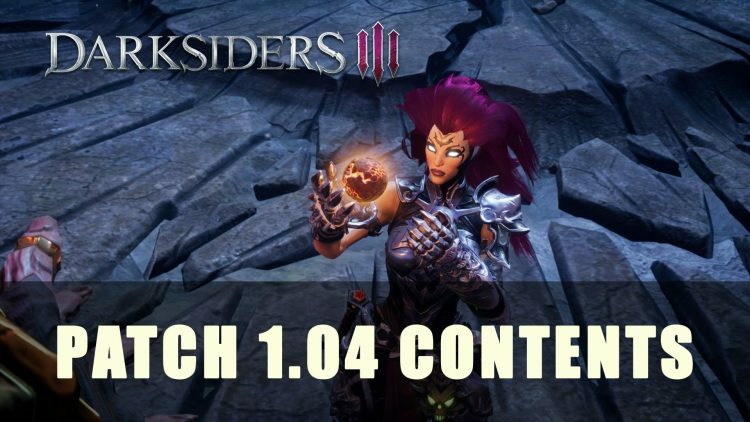 You can also check out more of guides in Darksiders 3 Stat Breakdown And Diminishing Returns Guide and Darksiders 3 All Luminous Visage Locations Guide. For all your whipping needs find it here in our Darksiders III wiki.